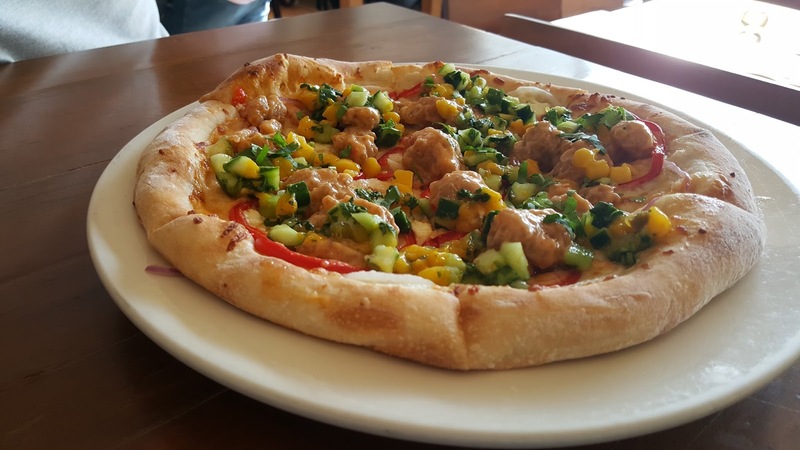 Sand Under My Feet: Continuing the Legacy: CPK Pizza Wars 2016, Now on its Second Run! 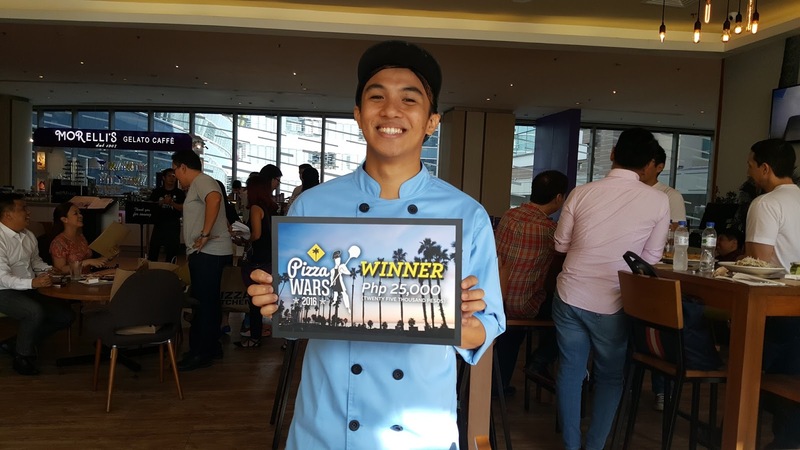 Continuing the Legacy: CPK Pizza Wars 2016, Now on its Second Run! 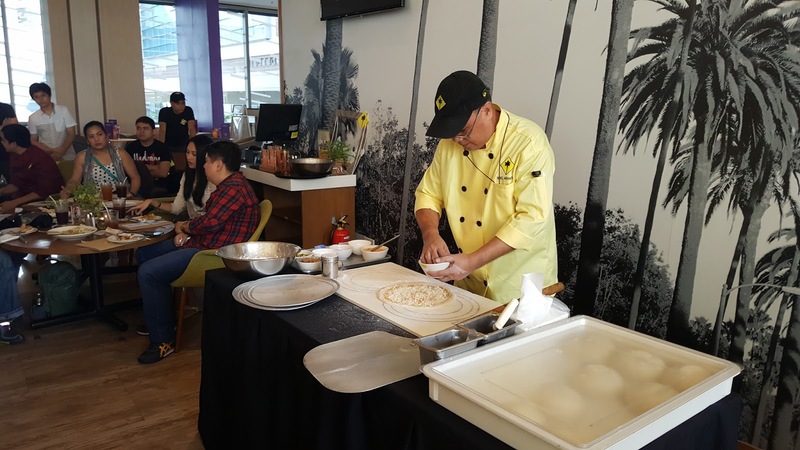 Making pizza is not a job, it’s a passion – Staying true to its roots of California creativity, California Pizza Kitchen (CPK) reaffirms its legacy and brand promise of a culinary adventure with the second run of CPK Pizza Wars, its annual in-house Pizza Chef competition. “California Pizza Kitchen has distinguished itself as a pizza authority attributable to its wide selection of innovative and artisanal pizzas. But more importantly, the secret behind the success of CPK here is, of course, the people behind it. 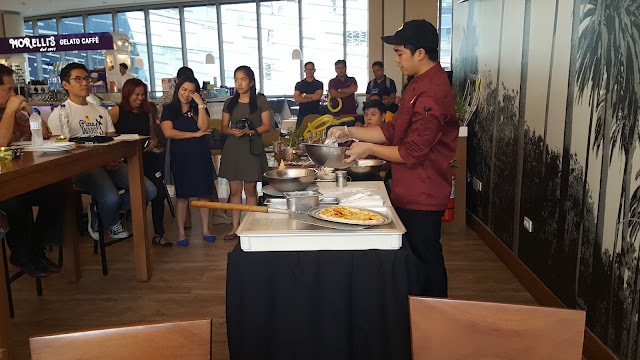 Which is why, apart from showcasing the talents of our pizza cooks who are equally passionate about food as we are, we wanted to challenge them to take their culinary skill to the next level. And sure enough, they have proven to be up to that challenge,” said Archie Rodriguez, President and CEO of Global RestaurantConcepts, Inc. (GRCI). The competition went through several rounds of heated competition, beginning with in-store elimination rounds. 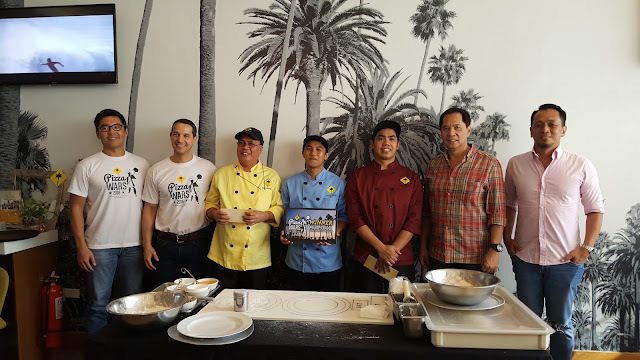 Each branch sent their own pizza champions to the semi-finals, to compete with each other for the approval of judges Robert Vallar, Marketing Manager of GRCI, Harris Jimenez, Commissary Manager, and Jeff Senia, Culinary Head. Of the semi-finalists, only three chefs were chosen to compete in the final round of competition. 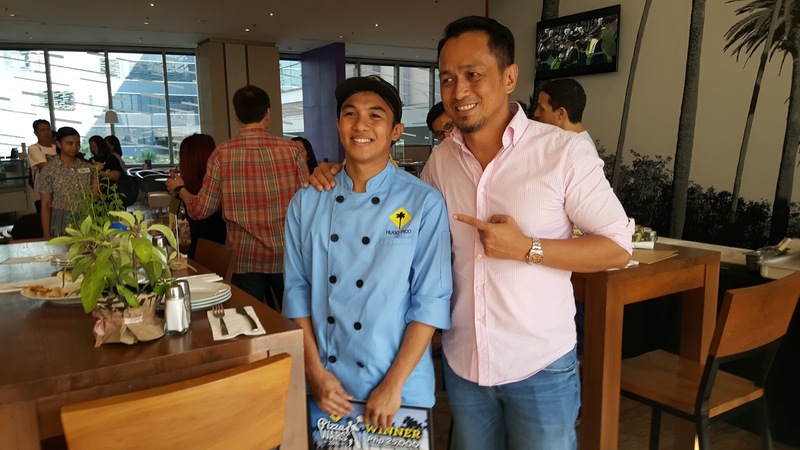 The finalists were Noel Araneta of CPK Greenbelt 5, Jerric Venezuela of CPK Alabang, and Rodel Pico of CPK Bonifacio Global City. 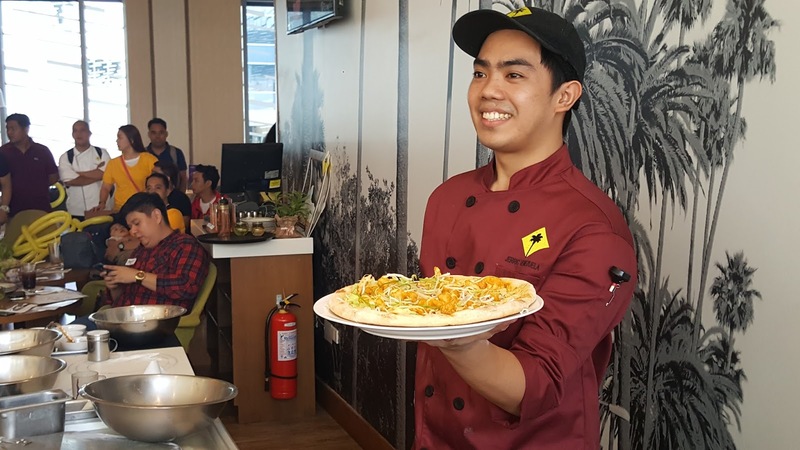 For the final round, these three pizza chefs prepared their creations once again, as they sought to win over the discerning taste buds of judges Archie Rodriguez and Griffith Go (GRCI CFO), joined by celebrity chefs, Sau Del Rosario and Sandy Daza. 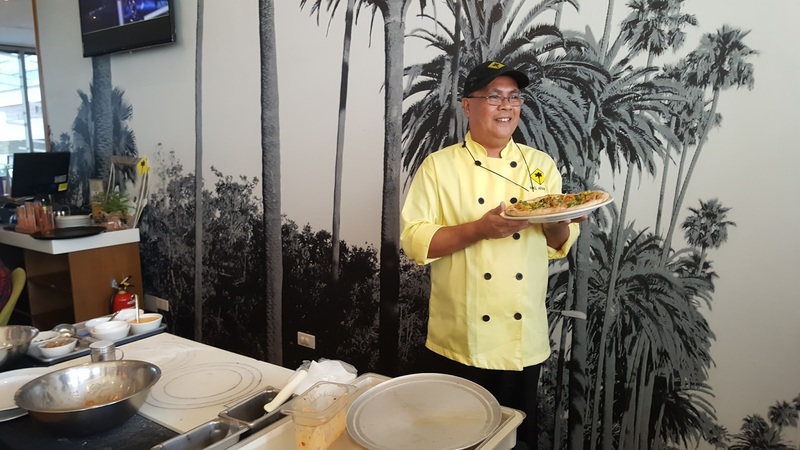 Noel Araneta of CPK Greenbelt 5 presented his Cod with Mango Cucumber Salsa Pizza. An Asian inspired dish with a mayo sweet chili sauce base, Goat cheese and Mozzarella, topped with fried codfish and special homemade mango cucumber salsa. 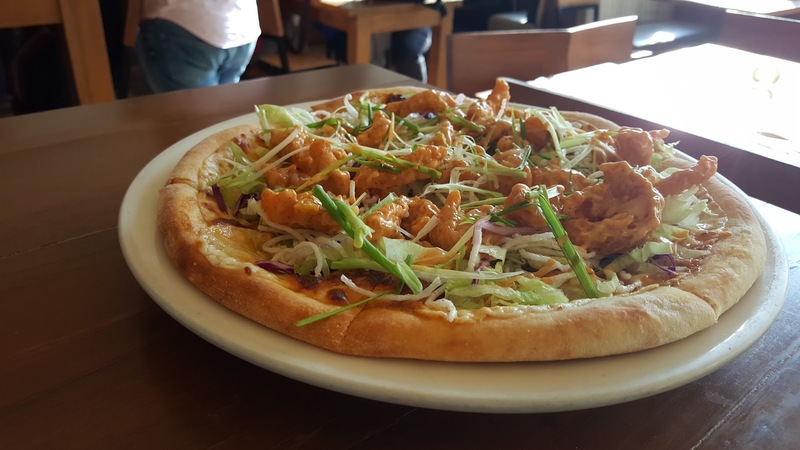 Jerric Venezuela of CPK Alabang brought out the boom by rolling out an amazing Dynamite Shrimp Pizza – a fiery fiesta of seafood and spices. Lastly, Rodel Pico of CPK Bonifacio Global City created a fun and original twist with his Anchovies + Goat Cheese Pizza; combining the salty and savory distinctiveness of anchovies while softening it up with the sweetness of caramelized onions and green apples. COD WITH MANGO CUCUMBER SALSA - Mayo sweet chili sauce, red bell peppers, Mozzarella and Goat cheese. Topped with fried cod and house made mango cucumber salsa. DYNAMITE SHRIMP - Dynamite sauce, Mozzarella and Velveeta cheese. Topped with shredded lettuce, red cabbage, rice sticks and dynamite shrimp. A fiery fiesta of seafood and spices! 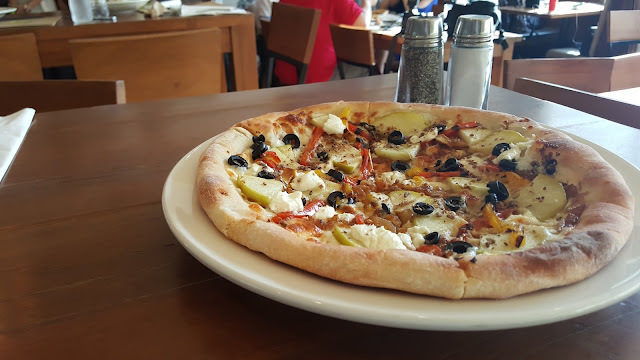 ANCHOVIES + GOAT CHEESE - Mozzarella and Goat cheese topped with minced anchovies, red and yellow bell peppers, caramelized onions and green apples. A perfect combination of sweet and salty.